We Padam Graphics are Manufacturing and Exporting high quality Offset Printing Machine.This is 3 in 1 Offset Printing machine which can print on types of Papers, Nonwoven Bags and Poly Bags. We are the best manufacture of all kinds of Non Woven bag Printing Machines in faridabad Haryana. manufacturer importer exporter Padam Graphics is the only one Co in faridabad who is manufactured all types of Non Woven bag printing machines and import of all kinds of Non Woven Bag Making machines from China. Our all customers are fully satisfied because we serve good service to our all valuable customers. 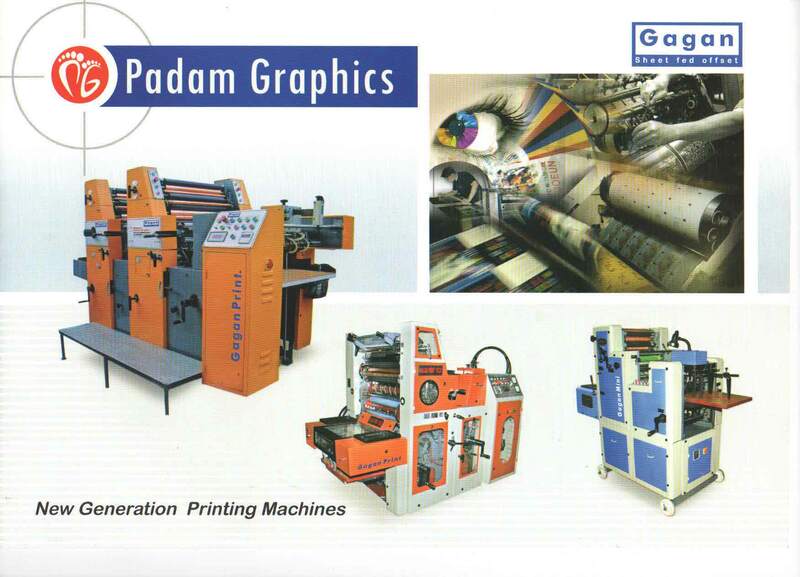 If you have want any types of Non Woven bag printing machines in India pls welcome to Padam Graphics in India Padam Graphics is the best manufacturers of all kinds of Non Woven bag printing machines in India. We are the best Manufacturers and Exporters of high quality Offset Printing Machines in faridabad we offer 3 in 1 Offset Printing machine which can print on types of Papers, Nonwoven Bags and Poly Bags.